Podkarpacki Bank Spółdzielczy currently has about 80 branches located throughout whole Poland. Over 140 years of experience along with rich history makes PBS Bank a modern and flexible financial institution – in short, it is the very top of Polish cooperative banking segment. The bank’s roots reach 1871, when Poviat Advance Society in Sanok was established based on the Act of Cooperativeness of 4th April 1871. Today, Podkarpacki Bank Spółdzielczy is one of the biggest cooperative banks in Poland, which operates mostly in its home region, Podkarpackie Voivodeship. It is also a respected member of Polish Bank Association. In 2011, the most popular methods of banking authorization and authentication were scratch cards, static passwords and SMS codes. Podkarpacki Bank Spółdzielczy, famous for being a pioneer of innovations implementing, wanted to offer its clients an utterly safe authorization method, which would not only allow the access to user’s electronic banking, but also simultaneously protect the weakest link out of all possibilities to contact the bank – which is a telephone talk with bank’s consultant. The bank’s authorities believed that then-current methods of authorization security were not enough – and that’s when Mobter moved in. We have begun our work on token-generating mobile applications at the same time when the new concept of PBS online banking was also being developed. The biggest challenge was to coordinate both projects so that they would finish at the same time. The bank’s systems were modified in a way that would ensure the possibility of using both new functionalities at the same time. 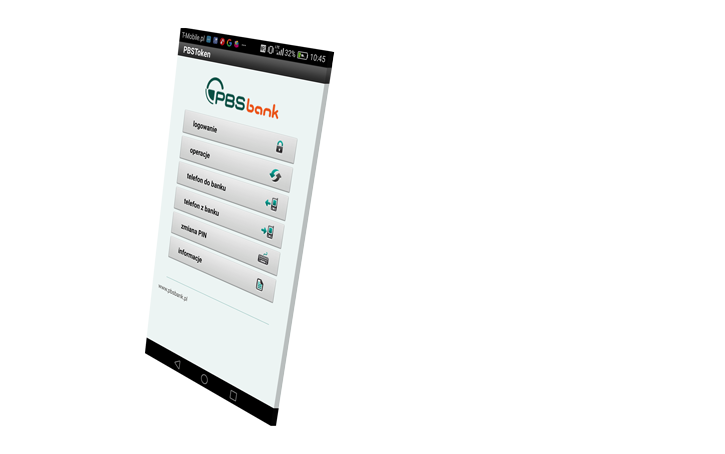 PBS Bank started to cooperate with Mobter – a company that back then has already proved itself to be able to carry out complex projects for banking industry. Our work began in mid-2011 and lasted until 2012. Mobter was responsible for the whole project of authorization process for internet application. The overall graphic design, along with specific requirements and details, were designed by Mobter. However, they had to take PBS Bank’s guidelines into account. The basic assumptions were that application should be simple to use and available on every platform being in use – which included not only iOS, Android and Windows Phone, but also older Java technology dedicated for devices such as the iconic Nokia 6310i. The work lasted for about 6 months and had to be coordinated with the internet banking project. Both applications were to be available for users at the same time, with deadline set on 1 of January 2012. PBSToken mobile application was delivered on time and fulfilled the initial assumptions. PBS’s clients are very eager to use the service of secure consultant connection, while the consultants are certain that they always speak with the account owner himself during a phone call. 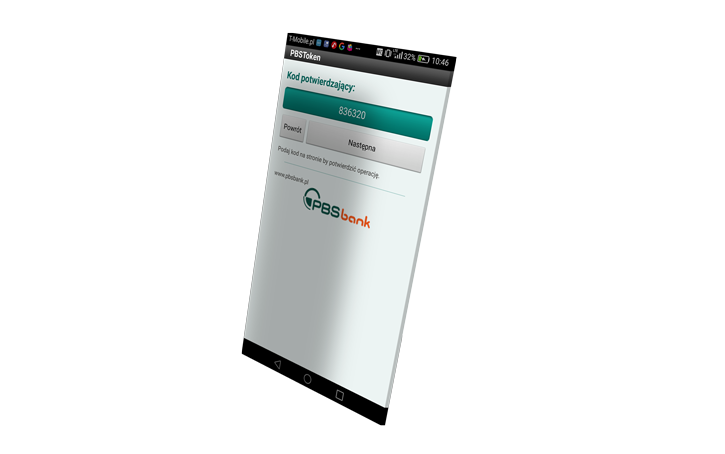 PBS Bank offered it’s clients an unprecedented security level during both logging in to electronic banking, as well as during the phone call with bank’s consultant. 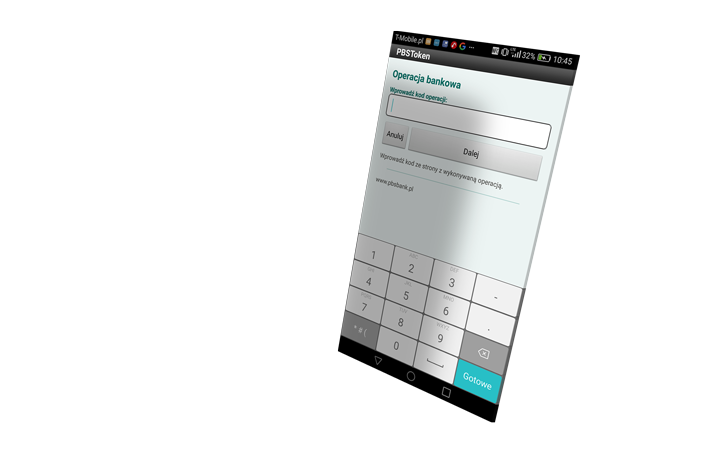 What is more, such phone call authentication works in both ways (a call „from” and „to” the bank). We needed and innovative and secure solution for our clients. Back in 2011, the market did not offer a product that would fulfil all of our needs. Because of that, we have decided to build our own dedicated mobile application. We could not afford to experiment with the application provider, and choosing Mobter was dictated by two factors. First, we knew that the company has security in it’s code, and this is not just a slogan. Second, Mobter was a part of Wheel Systems before 2012, which we knew as one of the top polish companies working on IT security. Mobter has prepared an application that is user-friendly, easy to use and guarantees the safety of our clients.